This Crochet Pattern is a great Hot Pad when made with Cotton yarn. It Makes a great Place Mat, too. 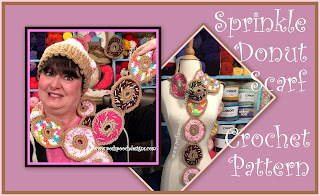 Or a decoration for Donut Party. Make one for everyone and they can take it home as a fun reminder of the fun they had at your party. Rounds are joined with a Slst. R: 1 – With C1, Ch 20, join in a circle. Thread a 18 inch piece of yarn onto your needle. Randomly stitch straight stitches all over the Fronting. 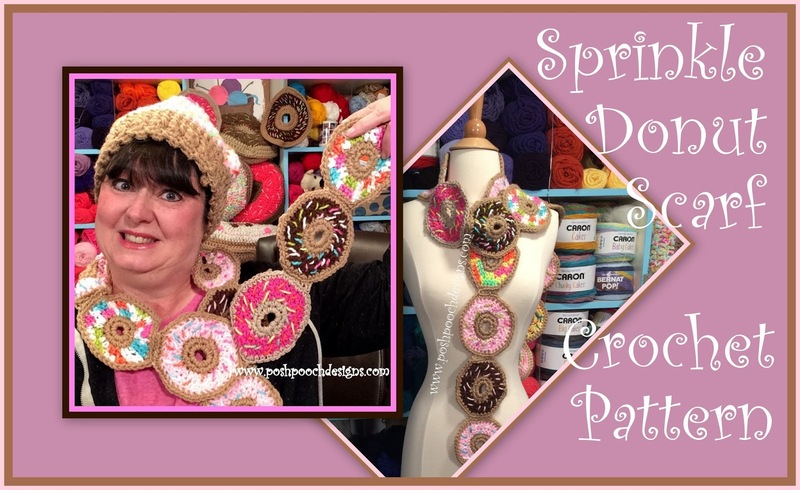 You may need to use several pieces of yarn for a lot of Sprinkles. they are sugar Free Donuts!